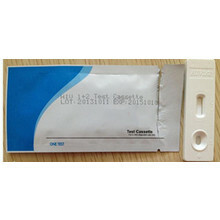 The One Step TOX-IgG Test Device (Serum/Plasma) is a rapid chromatographic immunoassay for the qualitative detection of Toxoplasma gondii-IgG antibodies in serum or plasma. 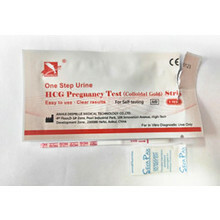 The test can help diagnose for pregnant women if they are infected with Toxoplasma gondii or there is a new infection recently. It is for in vitro diagnostic use only. 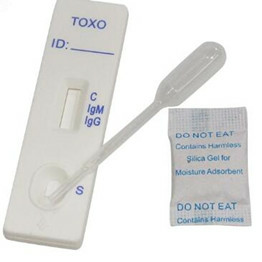 The One Step TOX-IgG Test Device (Serum/Plasma) is a rapid chromatographic immunoassay for the qualitative detection of Toxoplasma gondii-IgG antibodies in serum or plasma. The test can help diagnose for pregnant women if they are infected with Toxoplasma gondii or there is a new infection recently. 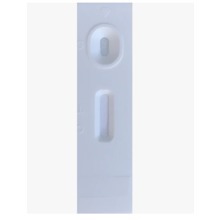 It is for in vitro diagnostic use only. 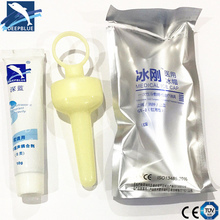 Take out the test from foil pouch; try to do the test within 1 hour. 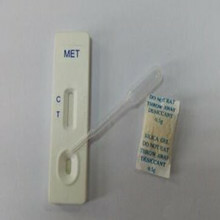 For test strip, immerse the test strip into specimen not less than 10 seconds; do notcover the specimen over MAX line. Or Drop 2-3 drops of specimen on the sample For test cassette, place the test device on a clean and level surface, hold the dropper vertically and transfer 2-3 drops of serum or plasma (approx 100ul) to the specimen well(S) of the test device,and start timer. Wait for the red line(s) to appear. The result should be read at 10-15 minutes,resultwill be invalid after 15 minutes. Positive: Two distinct red lines appear. One line should be in the control region(C) and another line should be in the test region (T). Positive result means there is anti-Toxoplasma gondii-IgG antibodies in the specimen. Negative: One red line appears in the control line, no red line appears in the test region(T). Negative result means there is no anti-Toxoplasma gondii-IgG antibodies in the specimen. Invaild: Control line fails to appear, incorrect test procedure or the test kit is damaged or invalid. Please read the instruction again and repeat the test with a new test device. 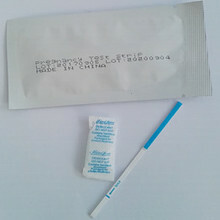 If the problem persists, stop using the test kit and contact with your local distributor at once.